Shirts With Random Triangles: OOPS! 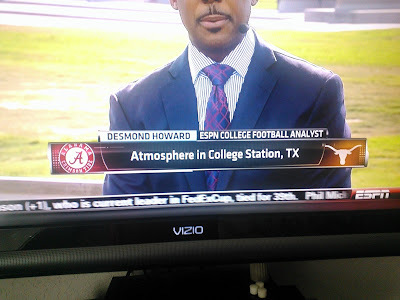 ESPN mistakes Texas logo for Texas A&M logo. OOPS! ESPN mistakes Texas logo for Texas A&M logo. Oops! ESPN accidentally used the Texas Longhorn icon instead of Texas A&M's logo. That's an excuse for violence in some parts if the Lone Star State. Does ESPn employ one of Thayer Evans' relatives to handle the chyron machine in Bristol or something?